Pretty much every router on the market comes with the ability to forward ports, and the Eero Wi-Fi system is no exception, despite its easy-to-use interface. 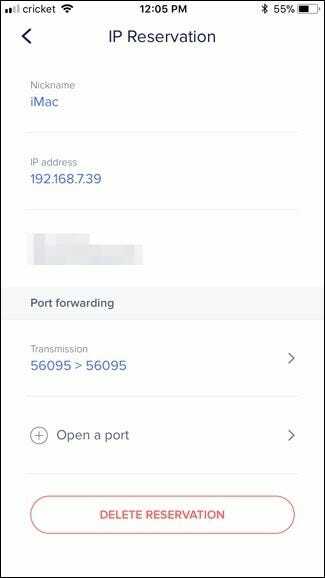 If you came across this post on purpose, then you probably already know what port forwarding is, how it works, and why you’d want to use it. 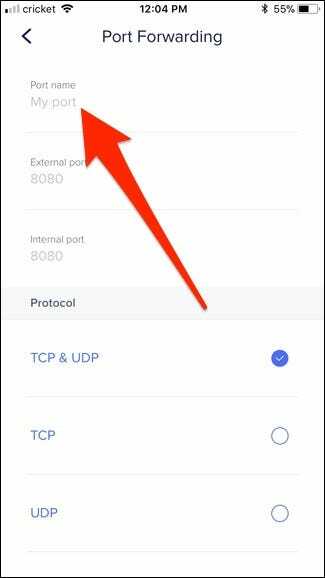 But if not, you can check our other guide on port forwarding that goes into great detail on the subject. 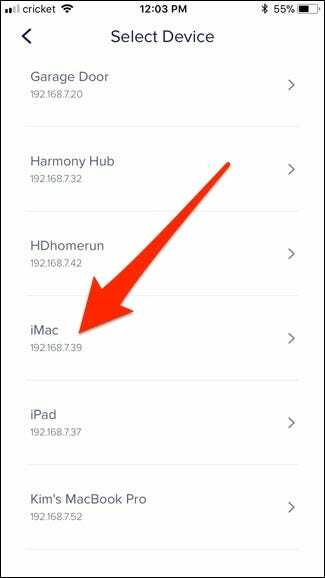 Before I get started, this will only work if your Eero is not in bridge mode. 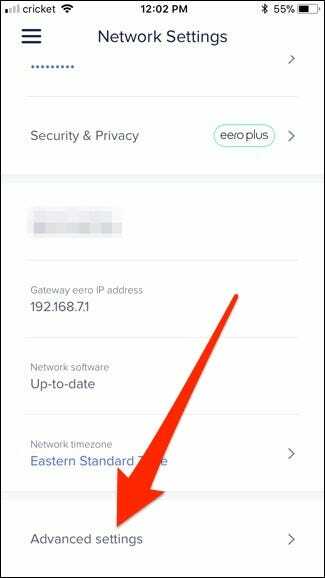 If yours is in bridge mode and you have another router doing all the heavy lifting instead, you’ll need to forward ports on that router instead of the Eero. In my example, I’ll be forwarding a port that I need open in order to use Transmission on my iMac. As you can see below, Transmission is telling me that port 56095 is closed. 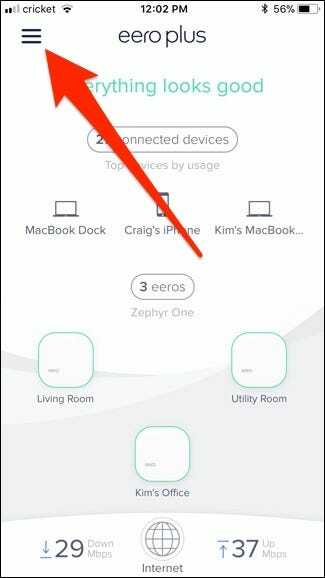 To get started, open up the Eero app and tap on the menu button in the top-left corner of the screen. 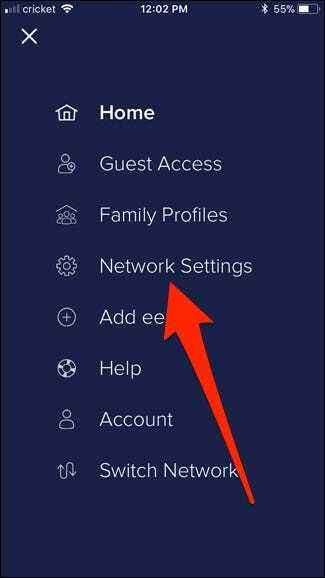 Scroll down and tap on “Advanced Settings” at the bottom. 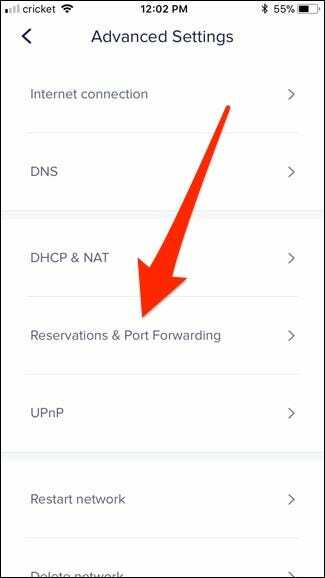 Tap on “Reservations & Port Forwarding”. 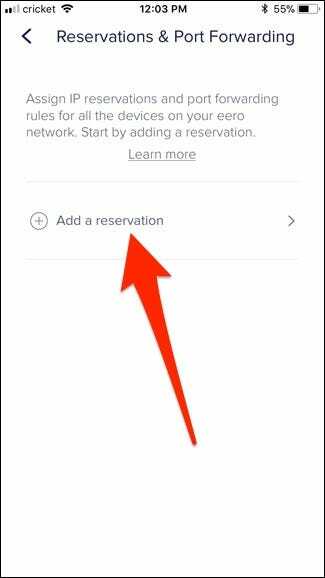 Tap on “Add a Reservation”. 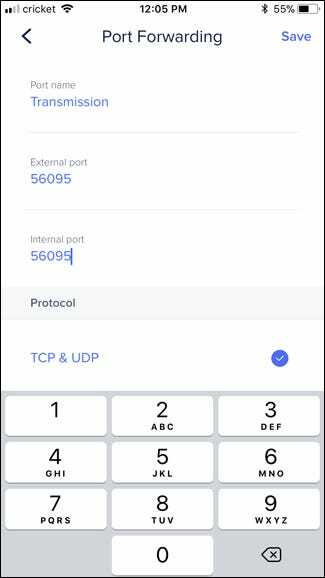 Scroll down and select the device that you want to forward the port on. In my case, it’s my iMac. 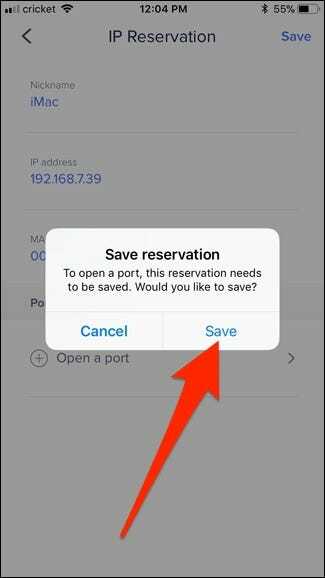 Tap on “Open a Port”. Hit “Save” when the pop-up appears. 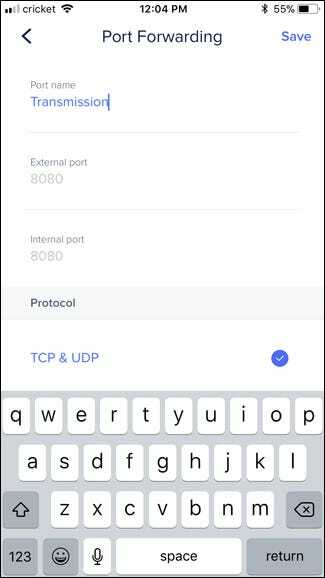 On the Eero, port forwarding requires giving your computer a static IP address through the router, which keeps the IP address from changing (since the port is assigned to a specific IP address). 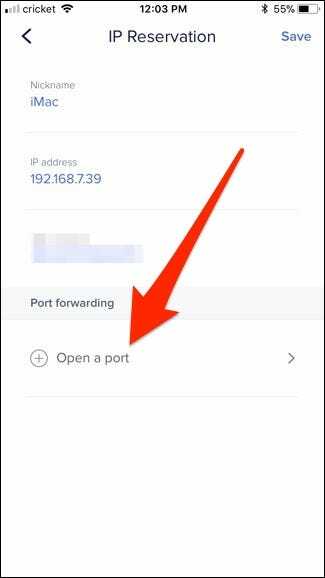 At the top, tap on “Port Name” and give it a name. This can be anything. 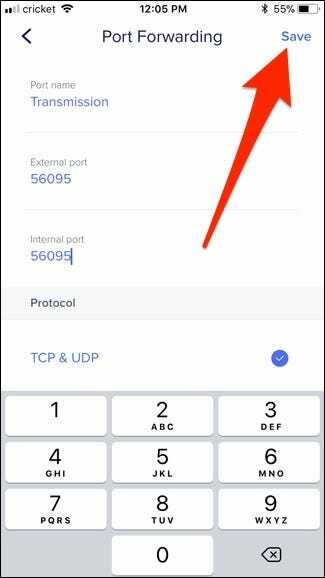 Next, enter in the port number for both “External Port” and “Internal Port”. Next, hit “Save” in the top-right corner. The port is now forwarded and you’ll now see an overview of your reservation. You can make any changes from here, as well as delete the reservation at any time. If I go back into Transmission, it’s now telling me that the port is open!